Chris is very good at finding places that I just adore. 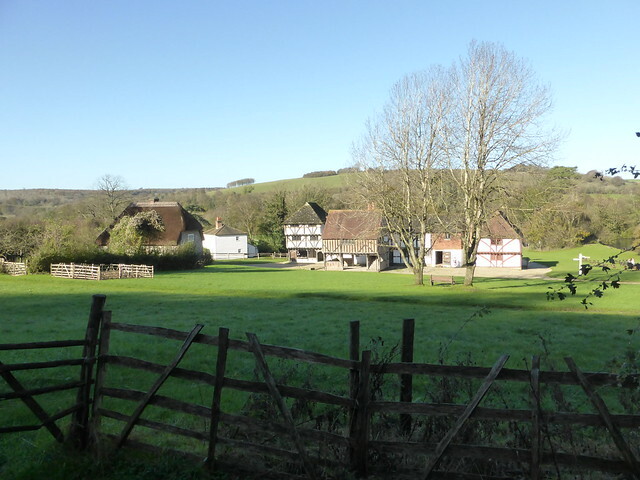 The Weald and Downland Open Air Museum is a collection of very old buildings that have been moved here from all over the country and preserved as a complete town. The scent of woodsmoke drifted over the village, and I sat in the winter sun and sketched until bits of me went numb. 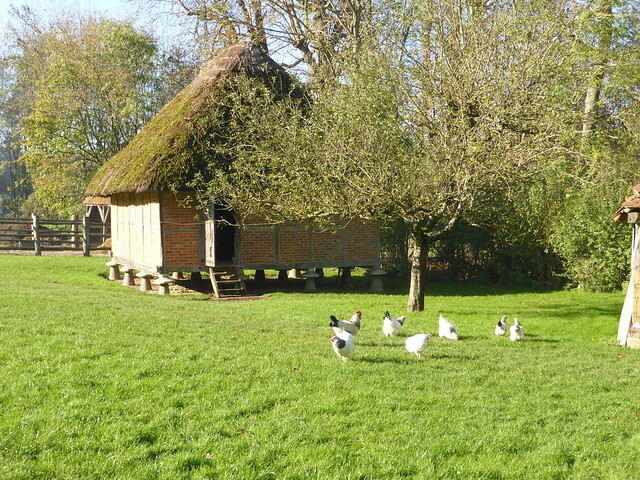 There were people here whose whole purpose was to wander round in costume and talk to visitors. I think this might be my dream job. 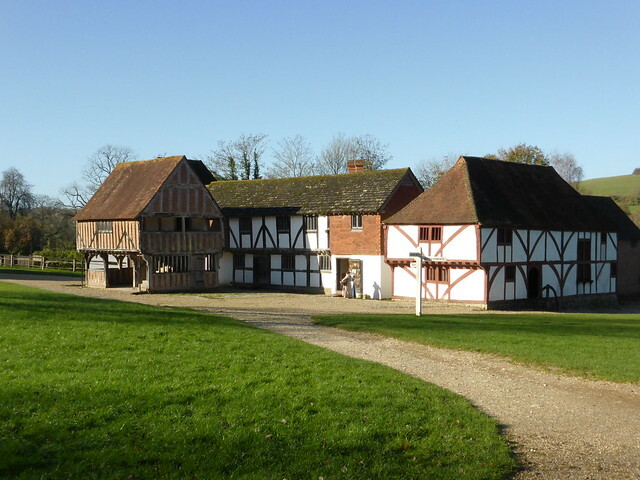 And I just love those timber framed buildings and interesting brickwork. 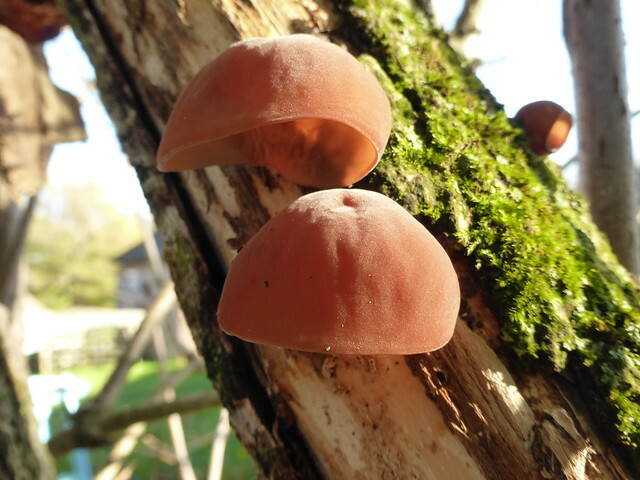 My other current obsession is fungi (see previous posts) and I was pleased to add a couple of new ones to my collection, including these Jelly Ears. 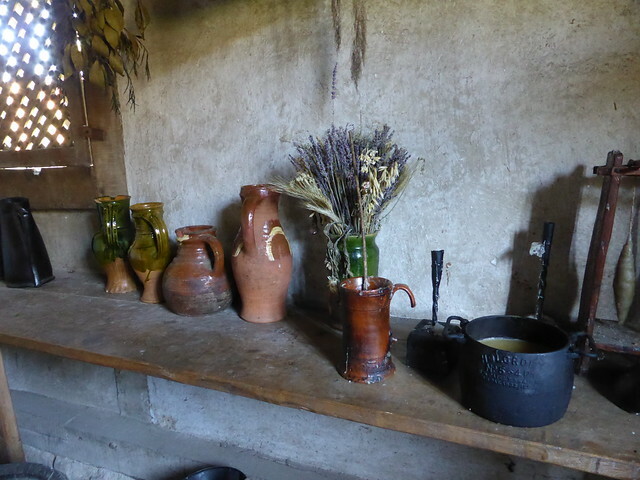 There were some charming little scenes set up in the houses, and you could imagine that any moment the gardener was going to walk through the door. 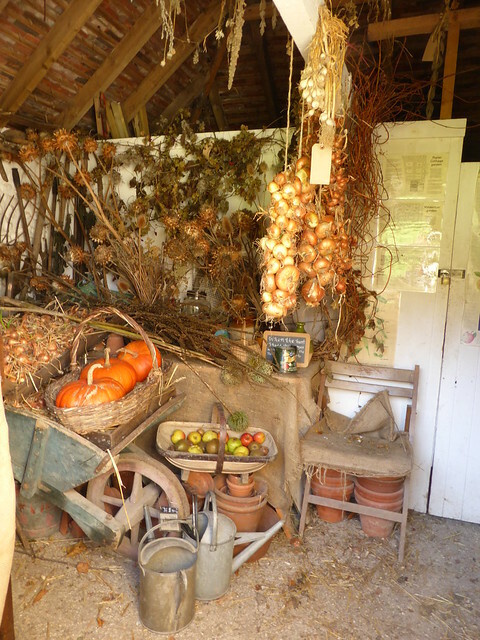 It appealed to my love of preserving garden produce - the strings of onions and garlic hanging up and the neatly stacked fruits are a bit of a dream of mine really. One day I would love to have a pantry where I can store dried vegetables and jars of home made jams. I can't help comparing life then with our lives now: rushing from one thing to the next, sending emails and writing reports, so busy that we have to do our shopping online and get it delivered. Don't get me wrong, I love the life we live and I am very lucky in so many ways. And I wouldn't change our centrally-heated home with electricity and running water for any of these cottages, however charming they are. But I think there is a lot to be said for living in harmony with the world around us, following the pattern of the seasons and using our natural resources wisely. I thoroughly enjoyed our morning exploring here, and I'm glad that we get the time to do things like this. Maybe modern life isn't so bad after all.